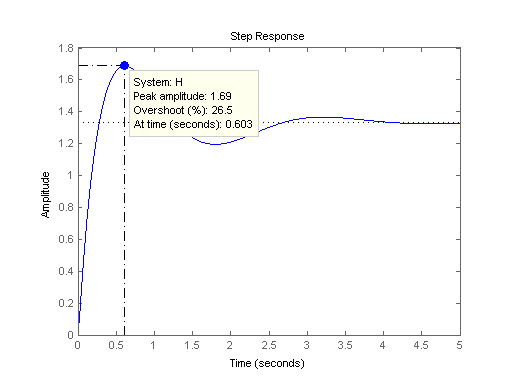 This example shows how to display system characteristics such as settling time and overshoot on step response plots. 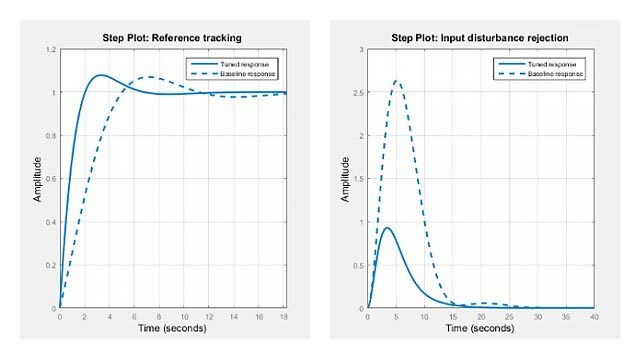 You can use similar procedures to display system characteristics on impulse response plots or initial value response plots, such as peak response or settling time. 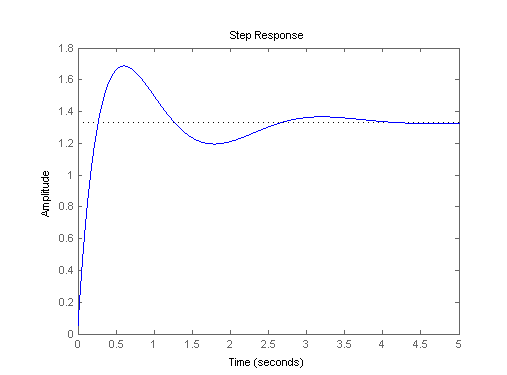 Create a transfer function model and plot its response to a step input at t = 0. 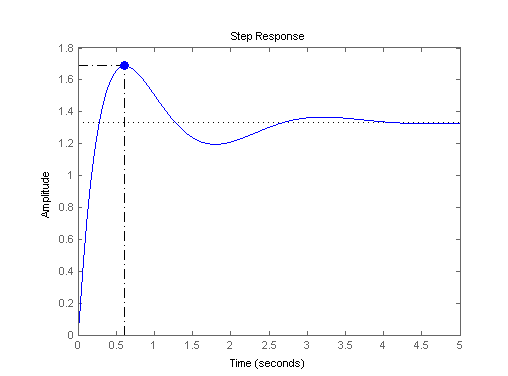 Display the peak response on the plot. 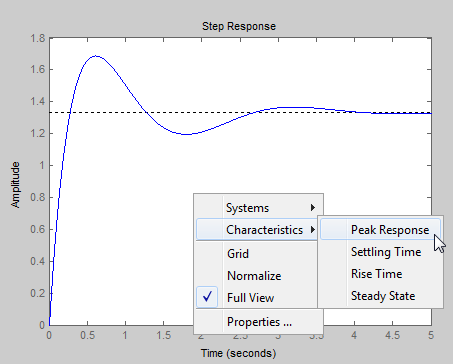 Right-click anywhere in the figure and select Characteristics > Peak Response from the menu. A marker appears on the plot indicating the peak response. Horizontal and vertical dotted lines indicate the time and amplitude of that response. Click the marker to view the value of the peak response and the overshoot in a datatip. You can use a similar procedure to select other characteristics such as settling time and rise time from the Characteristics menu and view the values.